This volume is a lighthearted but profoundly sympathetic look at 83 common ailments and conditions of modern life. Using verse as her medium, Dr. Sylvia Seroussi Chatroux has transcended the usual mode of doctor-patient interaction to convey a remarkable empathy for what it feels like to be afflicted with these maladies. 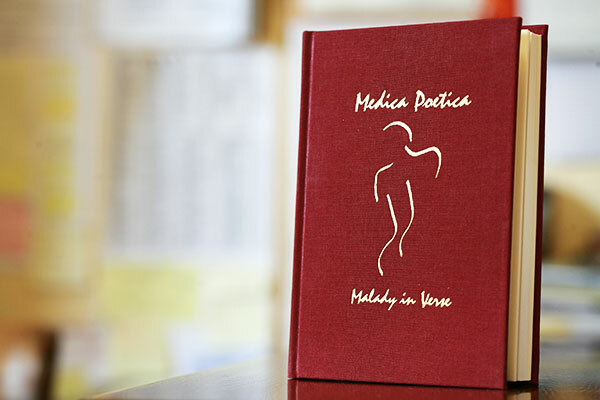 Medica Poetica is a dramatic departure from Sylvia’s first work, Materia Poetica, in that it deals with ailments as opposed to remedies. In broadening her subject matter, Sylvia demonstrates the extraordinary power of verse to reach the heart of a subject—even one as painful and sensitive as the ills that plague us all. Many of the verses in the book are illustrated with antique woodcuts that are topical in nature and contribute to the book’s unique character. You may purchase copies directly from Poetica Press by calling toll-free 1-877-POETICA (if you are outside the US, please call +1.541.482.6156). I’ll bet you all my cash! They’re Power Surges after all! I cycle with the sun! When kids outgrow this state.